One of the most annoying things when you install a new Google app in iOS is that you have to sign in. 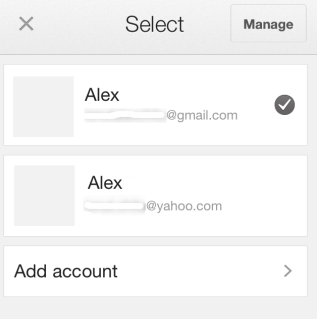 If you install Gmail, Google+, YouTube, Chrome and Google Maps, you'll have to enter your email address and password 5 times. Android's account manager solves this issue. - the accounts are shared between Google apps. If you enter the credentials of a Google account in the YouTube app and then open the AdSense app, you'll find the new account and you can sign in without entering the password. 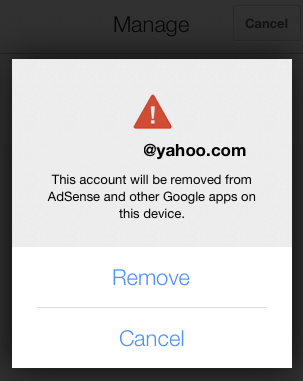 If you remove an account, it will be removed from the other Google apps that support this feature. I assume that most Google apps for iOS will be updated to use this brilliant feature. YouTube's help center informs that "if you've signed in with another Google app on your iOS device, you may see this account listed." This means that the accounts are associated with your device, so maybe Google uses an unique ID for each device. iOS devices have unique IDs called UDIDs, but they can no longer be used in iOS 7. App developers can use vendor IDs, which are identical for the apps from the same developer and they "uniquely identify a device to the app's vendor". It's interesting to see that "the value changes when the user deletes all of that vendor's apps from the device and subsequently reinstalls one or more of them."